Writer's Dice - Roll over writer's block! Dice for writers, storytellers and gamers! Use 'em to plot your next novel! Roll 'em into your RPG! Gift 'em to your gaming buddies! 475 backers pledged $8,435 to help bring this project to life. Writer's Dice for Sale on Smart Play Games / Etsy! 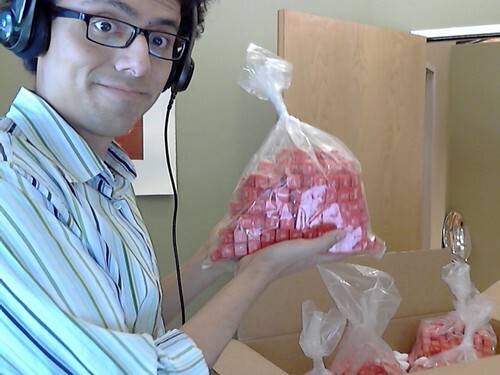 So this is what 2000 dice looks like! So, show off your dice to your friends and send them to our Etsy store if they want to get some dice of their own. Spread the word! Click to download "Using Writer's Dice in Writing and Games." I'm happy to release this guide to the creative commons. You are free to share, remix and even use it for commercial work under the same license. Basically, I wanted to offer some tips and tricks for using Writer's Dice in games in the hopes that others would come up with new games for the dice, too. So, peruse the guide, lift whatever you can, and have fun making your own games! As for Pop and Locke's Last Heist, it looks like it'll be an early Spring release! If you're interested in playtesting, message me or leave a comment. Thanks very much! Yup, this is taking a while! We should be able to start shipping individual orders by next week, though. 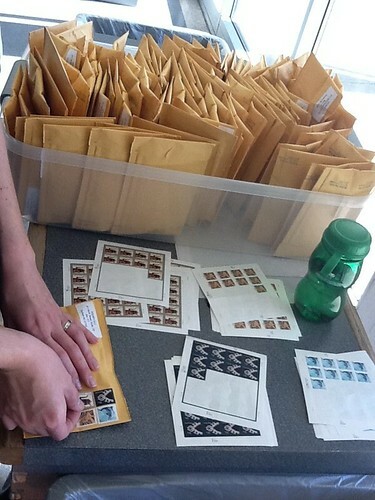 A teeny handful of you still haven't filled out your shipping information. Be sure to do so soon! Look what just came in the mail! A handful of you still haven't filled out your shipping info. If you want your dice as promptly as possible, you gotta hop to it! This is obviously a lot of dice to hand-pack, but we're going to try to send these out as fast as possible.